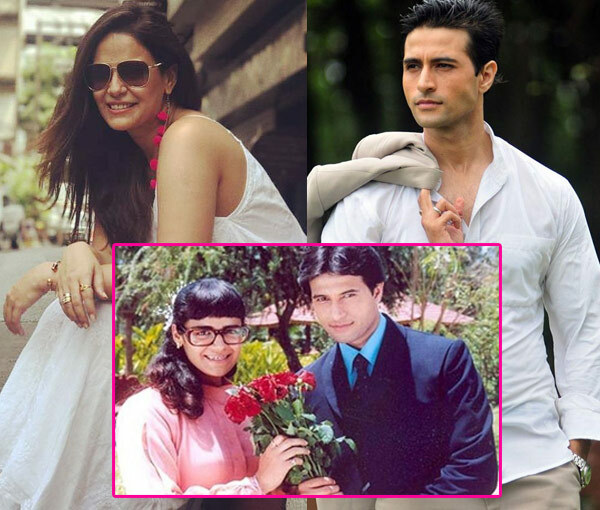 Apurva Agnihotri and Mona Singh reuniting in the show will make you yearn for a Jassi Jaisi Koi Nahi sequel! Even though Mona Singh has done quite a lot of TV shows and films, for us she will always be Jassi of Jassi Jaisi Koi Nahi. The actress became popular for the role and her chemistry with Apurva Agnihotri was a trendsetter. Sadly, the two never did another show again. But hey, you’ll see them together in just a couple of days. Apurva makes a guest appearance in Ekta Kapoor’s Kehne Ko Humsafar Hai which has Mona Singh as one of the leads. Though he has just made a cameo in the series, their moments for that particular time will make you so nostalgic and hopeful to see them back in another show. Mona will be seen playing the role of an interior designer, Ananya in Kehne Ko Humsafar Hai opposite Ronit Roy. She will be playing the “other woman” onscreen and will be seen opposite Ronit for the first time. Speaking about her role, she said, “I am playing this role for the first time. Otherwise, I’m always the crying wife. (laughs).” What are your thoughts on Mona and Apurva reuniting after 12 long years onscreen? Tell us in the comments below and stay tuned for more.